Campus » Outdoor Programs » Resources » Trip Leader Applications » Apply To Be A LandSea Leader! Apply To Be A LandSea Leader! Any time after completing the Online Application, but before the application deadline, you will need to submit additional information required for this particular position. You will be provided with an online form for your Personal Statement, and an upload link for your Résumé/CV. January 11th (Friday of 1st Week, Winter Term) – All applications, supplementary materials, and references are due by noon. The LandSea office reserves the right to not consider any partially complete applications or those submitted after the deadline. February 7th (Thursday of 5th Week, Winter Term) – Announcement of positions. LandSea offers two different types of responses. 1) The first is an “acceptance” letter. If you receive an acceptance letter, you must sign and return the dated contact no later than the due date provided on the letter. If you do not accept the offer, please let us know as soon as possible. In the event you change your mind after declining, you may still be able to join, but a spot in not guaranteed. 2) The second type of letter is an “unacceptance” letter. At the time of decisions, we did not have enough space to offer you a leader position. However, we will invite and encourage everyone who did not receive an “acceptance” letter to join us on the Spring Leader Training Trip to Red River Gorge, Kentucky. This training will set a student up to be able to lead KOC trips or may help with leading LandSea in the future. If the LandSea numbers change during spring term, the first students who will be offered LandSea leader positions will be students who participated in the Spring Leader Training Trip. Those who have received an “unacceptance” letter may choose to speak to the LandSea staff directly to discuss further reasons behind the decision that was made and possibly gain insight as to how to better prepare themselves to apply again in the future. 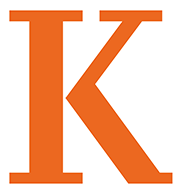 Students are also encouraged to seek out additional leadership or experiential/adventure education opportunities either on your own or by seeking out those experiences with on-campus groups such as Kalamazoo College’s Outing Club. Gaining experience within the field can increase your chances of being selected as a LandSea Leader in subsequent years and better prepare you for the position by gaining valuable experiences on shorter, but more frequent trips.